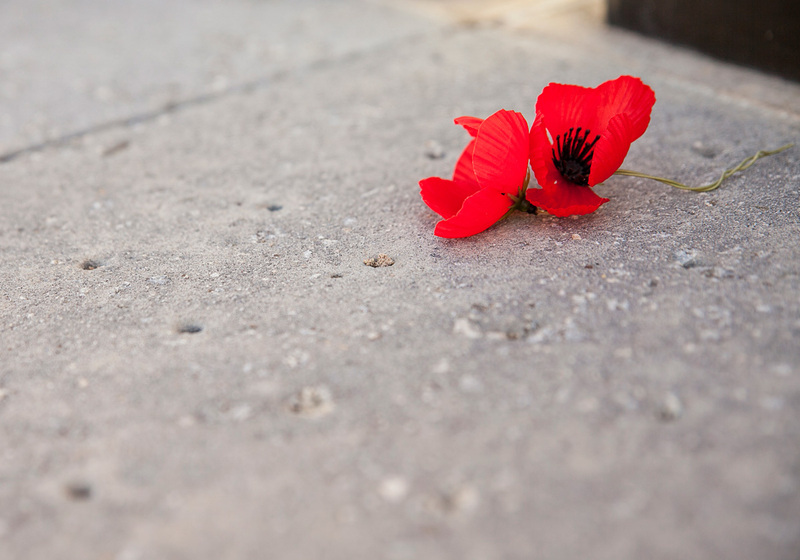 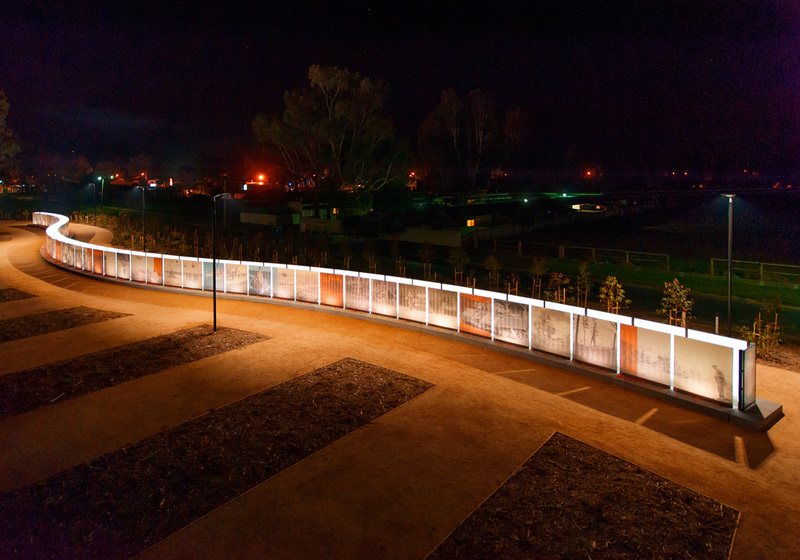 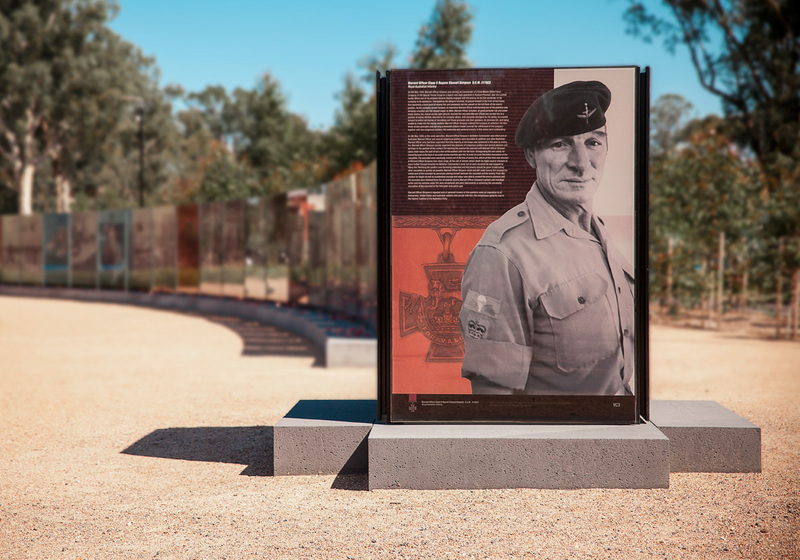 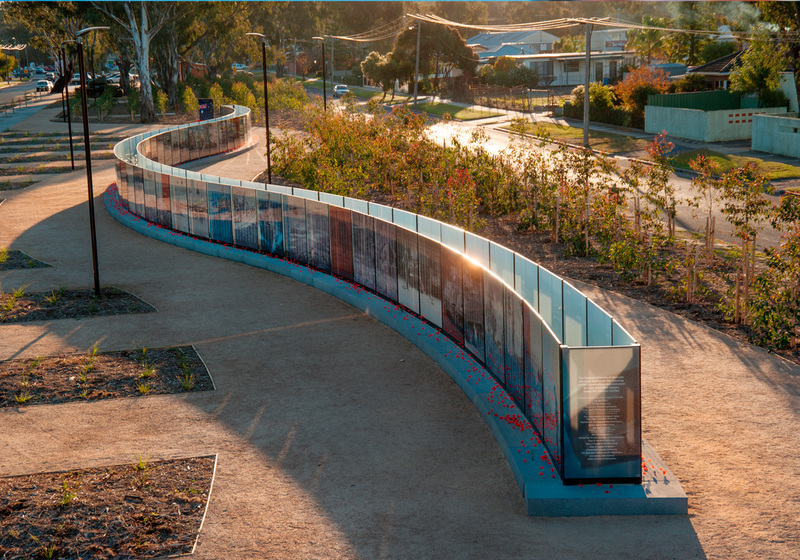 The Vietnam Veterans Commemorative Walk in Seymour, Victoria, was officially opened in March 2013 and is the culmination of 18 months work with landscape architects Sinatra Murphy and AQL. 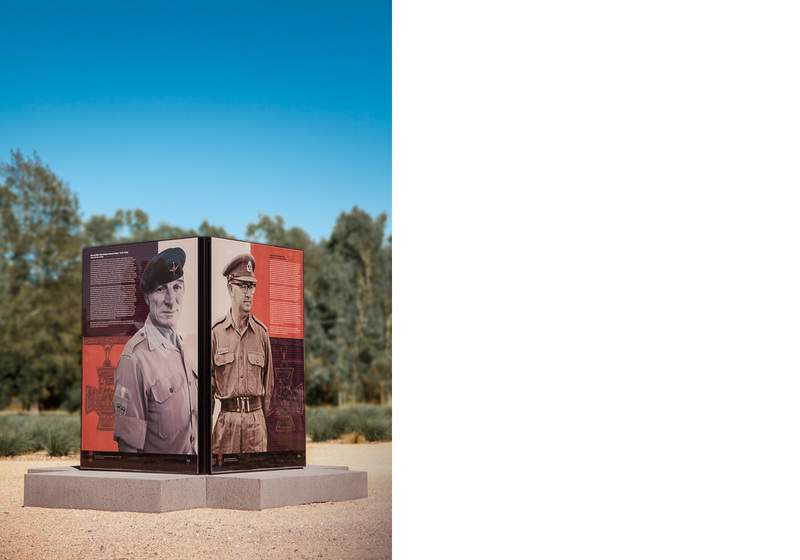 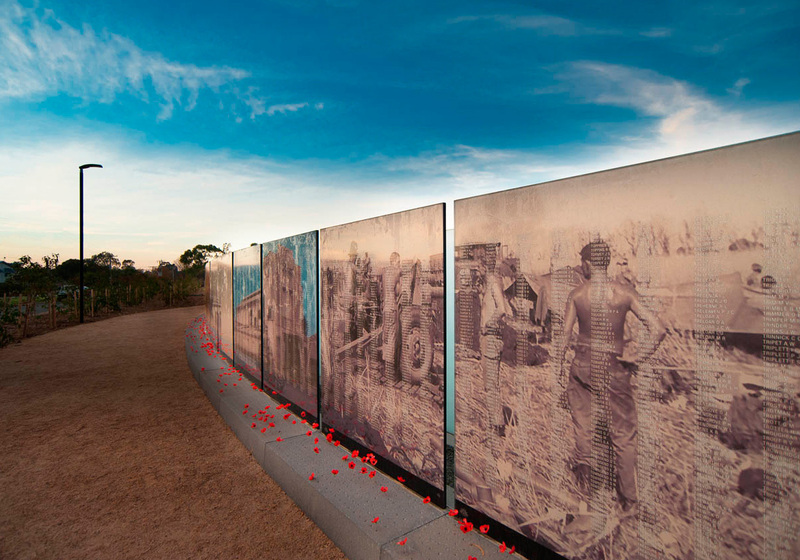 The wall features the names of the 62,000 Australians who served in Vietnam from 1962 to 1973 and forms a lasting and highly visible addition to Australia's military history. 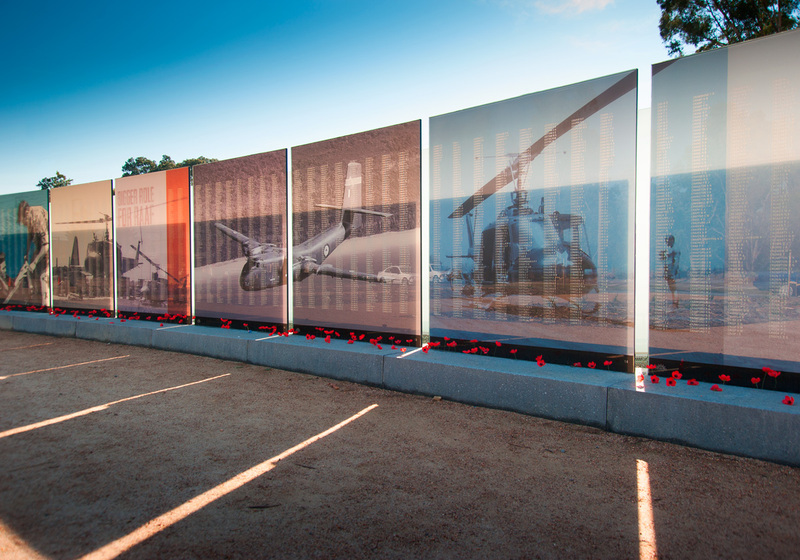 AHD Studio was responsible for the visual concept, design and artwork of all 108 glass panels – each measuring 1.5m x 1.8m. 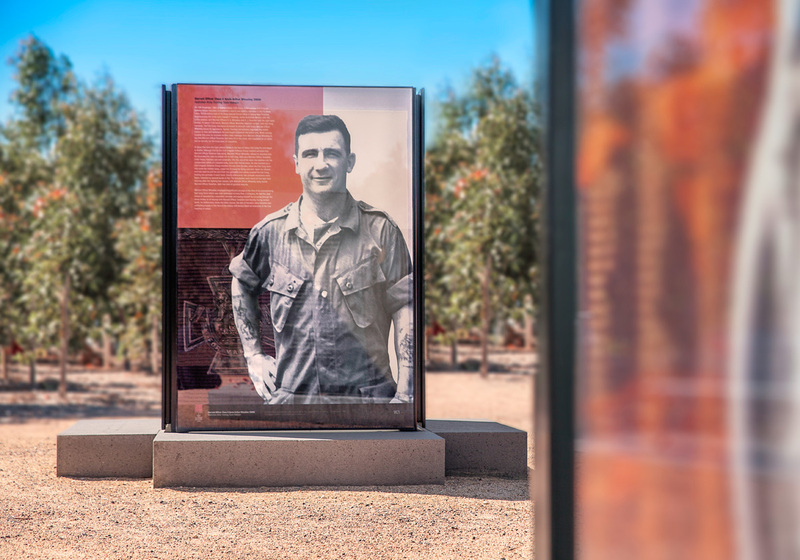 The images were selected from the personal archives of local RSL members and depicts life and combat in Vietnam from a uniquely Australian perspective. 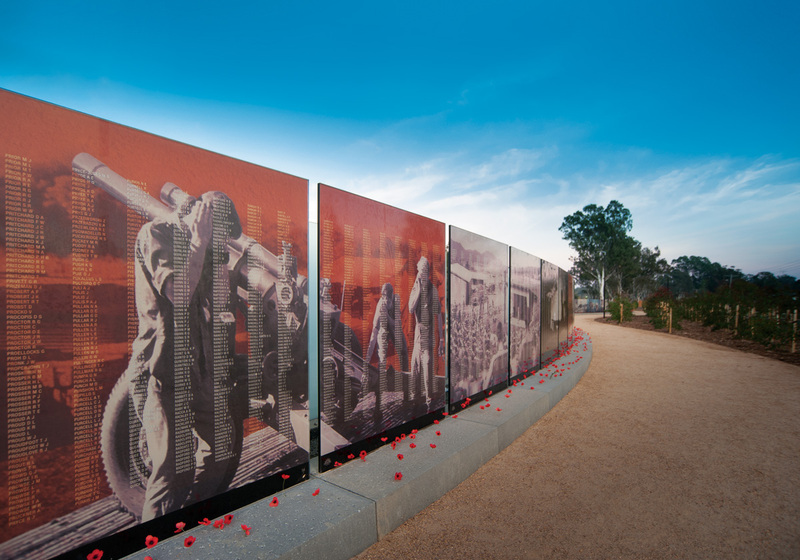 Images courtesy of Mark Wilson and Ben Stevens.